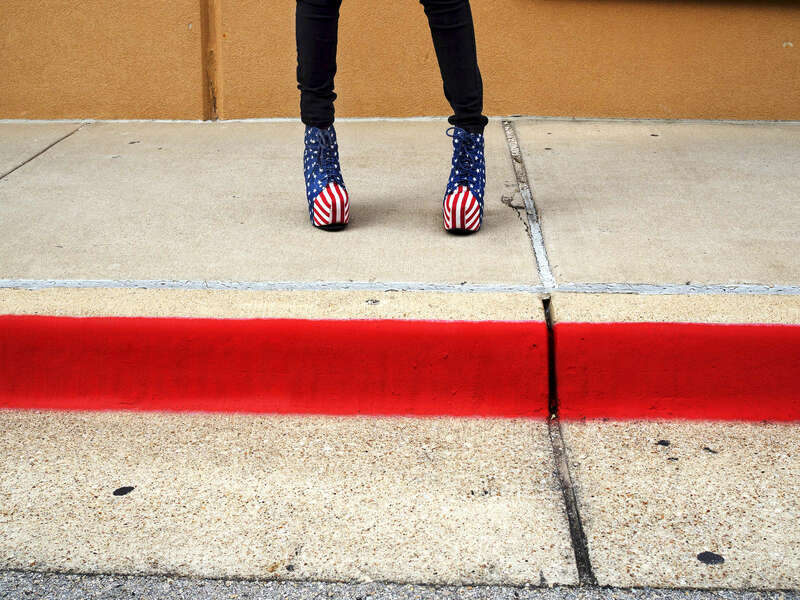 Patriotic footwear worn by Chloe on her way to work in Southlake. Southlake is an affluent city located north-west of Dallas in the U.S state of Texas with a population of arond 26,5700. Southlake was named in 2014 as one of TIME magazines top 10 richest towns in America a and is known for public schools, Southlake Town Square, its wealth, Gateway Church and Carroll High School's 8-time state champion football team.